As I’m sure you can tell from the dust around here, I don’t get around to writing about much anymore. Another phase of my life I suppose. What’s a fella to do? Every now and then I get a brief impetus to write something though. Today I shall grace you with the results of one of those urges. 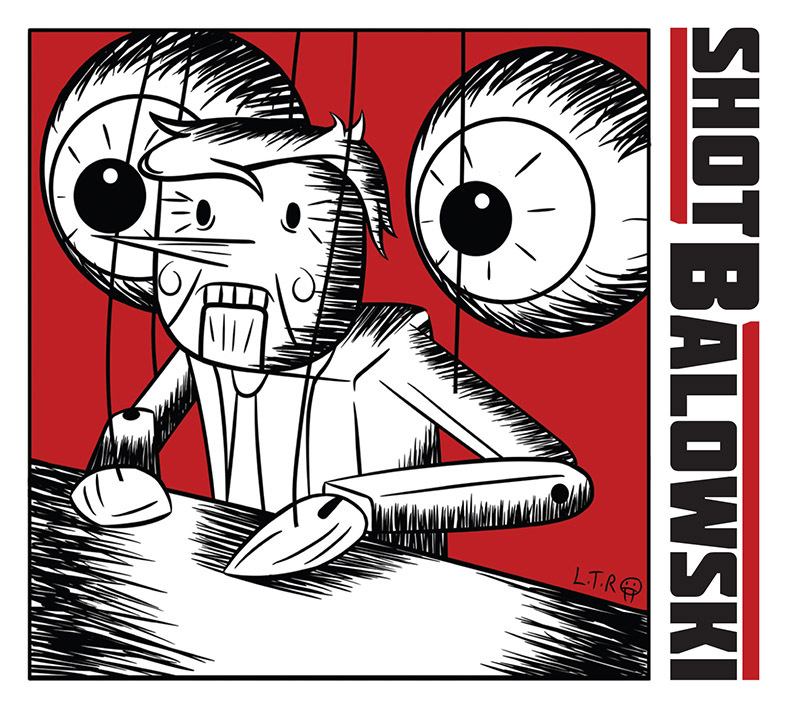 I’ve got Shot Balowski’s self-titled debut album, out 03/29/2019, fired up on ye olde hifi and I’m rocking out to it. 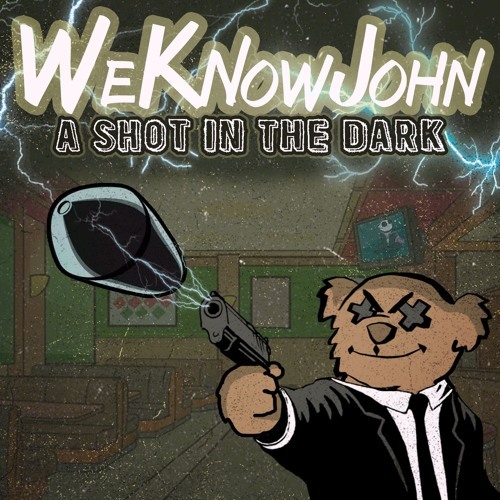 There’s a bit of a Ramonescore vibe as well as secondary source influence like Teenage Bottlerocket and Masked Intruder, combine that with a mix of The Pixies, an odd dash of Motorhead, add in a left-leaning bent and somewhat more raw of a sound and that’ll give you the gist. The album provides 12 tracks of mostly up-tempo 3-piece punk rock, interlaced with the occasional folksy ballad on track six, Kitchen Sink / Girl in the Call Centre. There’s a bit of spoken word poetry as well mixed into the overall pastiche of a protest album. This isn’t to say it’s derivative in an overt way, so much as the song writing seems aware of its roots. Overall it’s a great debut and I look forward to more from Shot Balowski in the future. 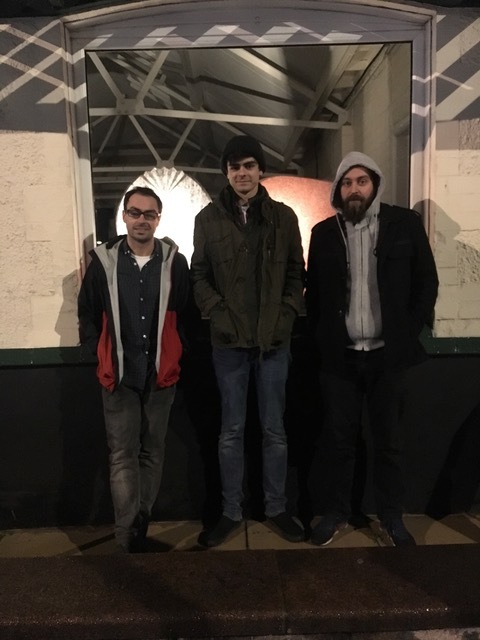 ShoT BAlowSki is a three-piece UK rock band with a leftist attitude and punk leanings. Debbie, Simon and Tef take grit, melody and acerbic lyrics and spit them out in two minutes flat. 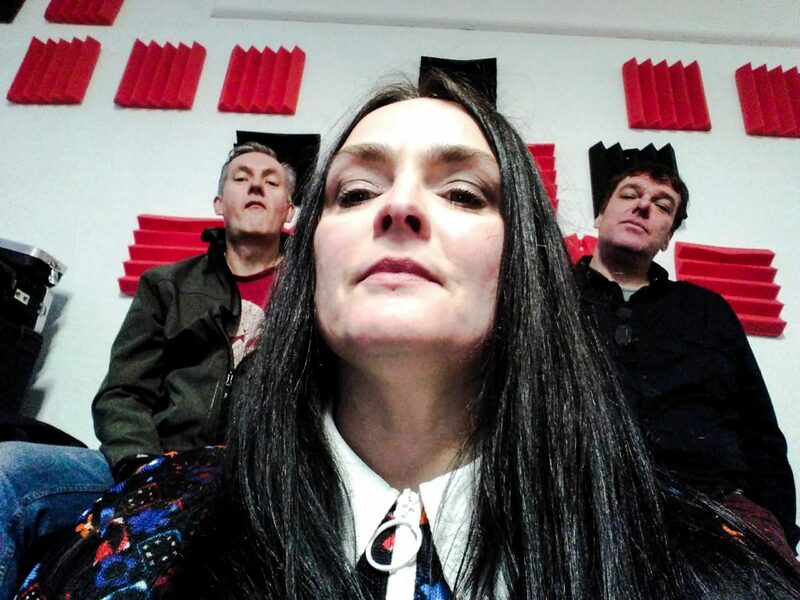 Their self-titled debut album is released by Abnormal Product on Friday 29 March 2019 – it will be available on CD, download and streaming. It’s high-octane, classic punk rock from the dis-United Kingdom, tackling subjects like far right populism, and corrupt media, organisations and governments, while giving props to radical heroes like Emily Wilding Davison and Muhammad Ali. 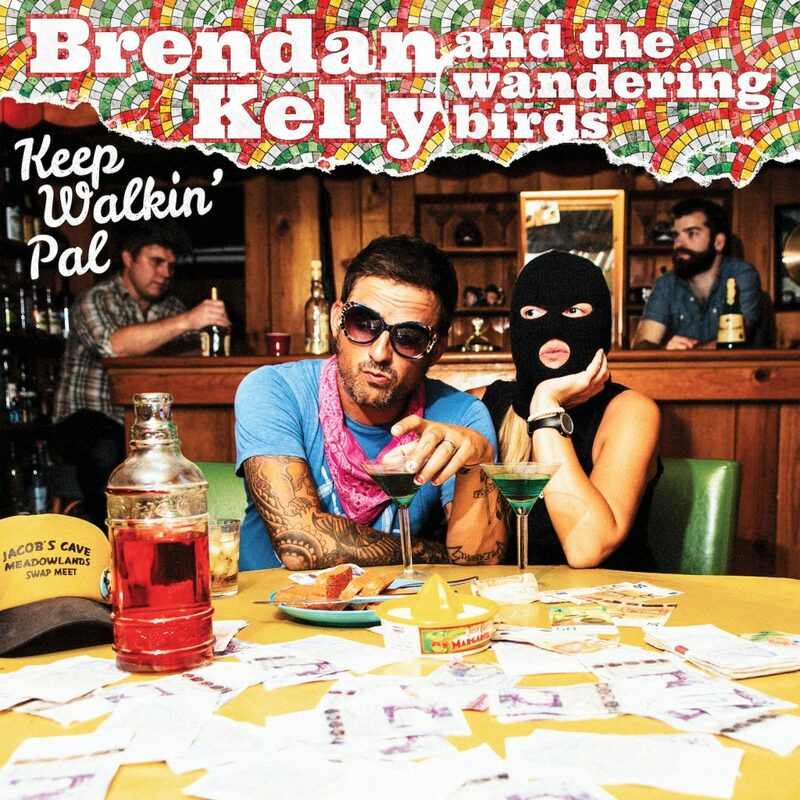 The album’s tracks include Commander in Cheat (about Trump’s sexist, racist presidency), Nissan Poppy 24/7 (about patriotism and the politicisation of remembrance), Emily Does (about militant suffragette martyr Emily Wilding Davison), In the Suicide Forest (a short tone poem about vacuous vlogger Logan Paul), and a punk rock cover of Bob Marley’s Redemption Song. Destroy the Daily Mail features a section written and performed by Wales’ most prominent living literary figure, poet and playwright Patrick Jones (see patrick-jones.info), elder brother of Nicky Wire of the Manic Street Preachers and a frequent collaborator with the Welsh chart-topping band. Jones adds a stream-of-consciousness set of Mail-esque headlines. He agreed to the collaboration after reading the lyrics and listening to the raw track, calling the song “important and powerful”. 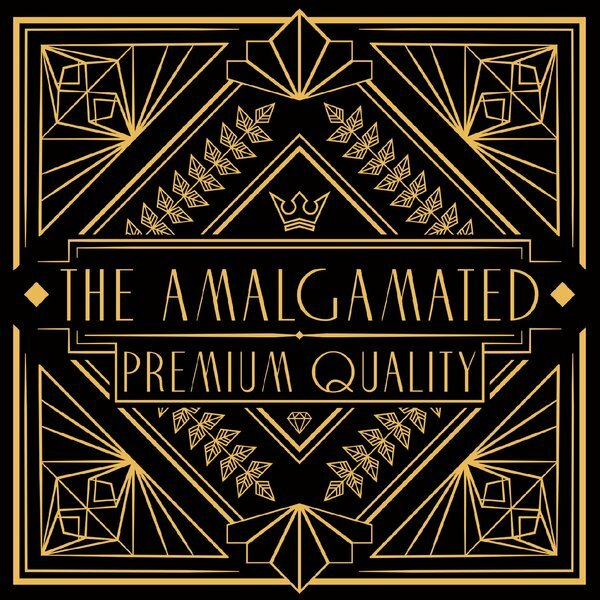 San Diego’s own trad-ska combo The Amalgamated are back with some Premium Quality recordings. Putting their soulful reggae ska spin on some legendary tracks. Step lively now and give it a whirl. The Amalgamated are a traditional ska/jazz band, influenced very much by early SKA styles, old reggae tunes, great jazz standards and soulful ballads in the vain of the late 60’s. A 10-member ensemble that includes vocals, two guitars, stand-up bass, dual saxophones, trumpets, trombone, keys and percussion. The new album boasts covers as diverse as All of Me, Crazy, and Twistin’ the Night Away, all performed with The Amalgamated’s signature swagger. It’s a covers album, sure, but it’s the bands take on songs that influenced and inspire them. Above all, it’s fun album. Get some. The new Brendan Kelly and The Wandering Birds album exists. It sounds like Joe Cocker and Bruce Springsteen had a baby with a Casio. Here is a picture of the album cover. It’s got a weird 80s Kristofferson meets Miami Vice rambling feel too it. I think it’s a country album. Having a long history with both Century Media and Fat Wreck Chords, and knowing how much they care about us and the music we make, we are psyched about this joint effort! Both labels have been friends and champions of SOIA, on their roster or not. Hey y’all, want to read about some Cowpunk from SoCal? Read on. 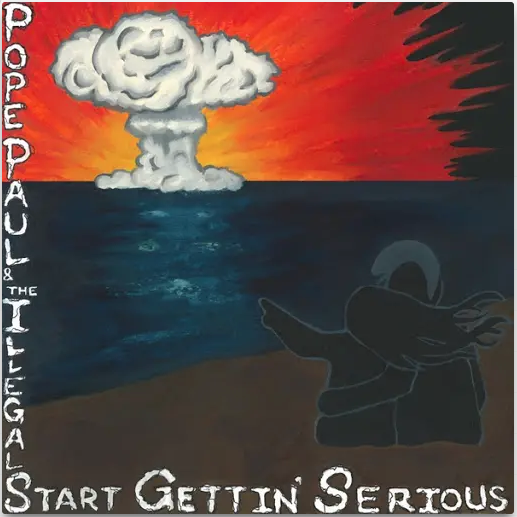 I’m spinning “Start Gettin’ Serious”, the new album from Santa Ana eclectic combo, Pope Paul & the Illegals. The album provides 11 tracks of a variety of Americana; Country, Cow Punk, Swing Revival, Western Swing, Rockabilly, Gospel sounds, sure, why not? There’s even a bit of Hank III / Assjack sounding metal on the album. Per the band, regarding the new release “It features a slew of excellent guest musicians, including members of Squirrel Nut Zippers (Jimbo Mathus, Hank West) and the Reverend Horton Heat (Matt Jordan).” So it’s got some pedigree straight out the gate. I’m not sure who is playing what, but the music is tight, and the guitars rip. Track seven, Demented Swing certainly has a pronounced Squirrel Nut Zippers sound. I suspect the above gets to the gist of what the band is aiming for. What you’re looking for, I suppose though, is the answer to the question, “Is this a good album?” The answer, friends, is yes. It is a good album. I think the caveat is, as always, if you are in anyway interested in the sounds mentioned above, than you oughta give Pope Paul & the Illegals a whirl. Go to their Facebook page and listen to some tracks. Hear it with your own ears, and go out and support local music! Personal favorite is the extremently guitar-driven, rippin’ Rockabilly end track, Rip It Off. Pope Paul & The Illegals started up in 2014 in their hometown of Santa Ana, CA. Their style combines most elements of Americana music including rockabilly, psychobilly, punk, swing, country, honky-tonk, blues, surf rock, and rock n roll. They bring a fun, high-energy show guaranteed to get crowds dancing, drinking, and having a great time. Touring frequently, Pope Paul & The Illegals have entertained crowds in 34 different states with a mix of their original material and classic cover tunes. They have opened up for high-profile Americana acts such as Big Sandy & His Fly-Rite Boys, Supersuckers, Shooter Jennings, The Blasters, The Cherry Poppin’ Daddies, Slim Jim Phantom (of the Stray Cats), Hillbilly Casino, The Bellfuries, Gamblers Mark, The Delta Bombers, Deke Dickerson, and Wanda Jackson. They have performed at several festivals throughout the USA including the So-Cal Hoedown (Santa Ana, CA), the Rockabilly Extravaganza (Riverside, CA), the Nashville Boogie (Nashville, TN), the Great American Rockabilly Riot (El Paso, TX), Viva East (Boxborough, MA), and the ApalachOktoberfest (Apalachicola, FL) which they headlined. They have released three full-length albums, “White Smoke Rises” (recorded at Orange Blossom Studios, Placentia, CA) and “Dial Back Boogie” (recorded at Dial Back Sound, Water Valley, MS). 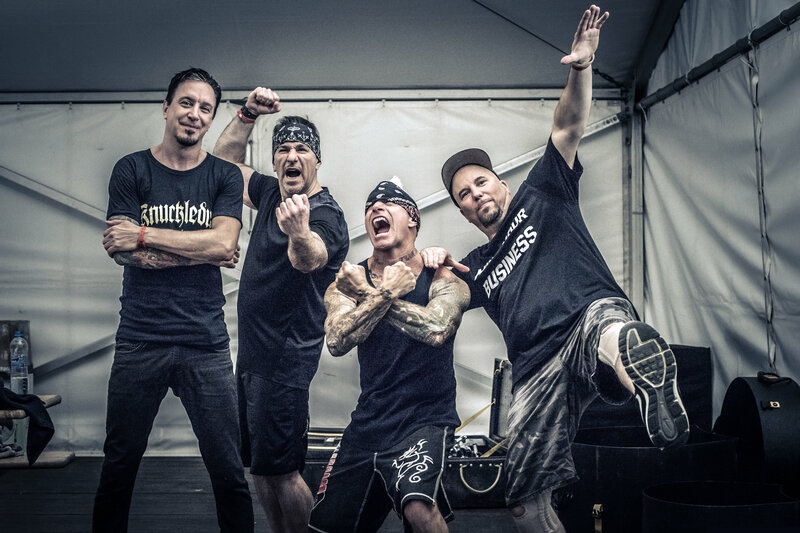 Their 3rd release, “Start Gettin’ Serious” (Dial Back Sound) is now available as a CD and can be bought from the Illegals themselves or bought/streamed online through CD Baby, iTunes, Amazon, Google Play, Pandora, and Spotify. 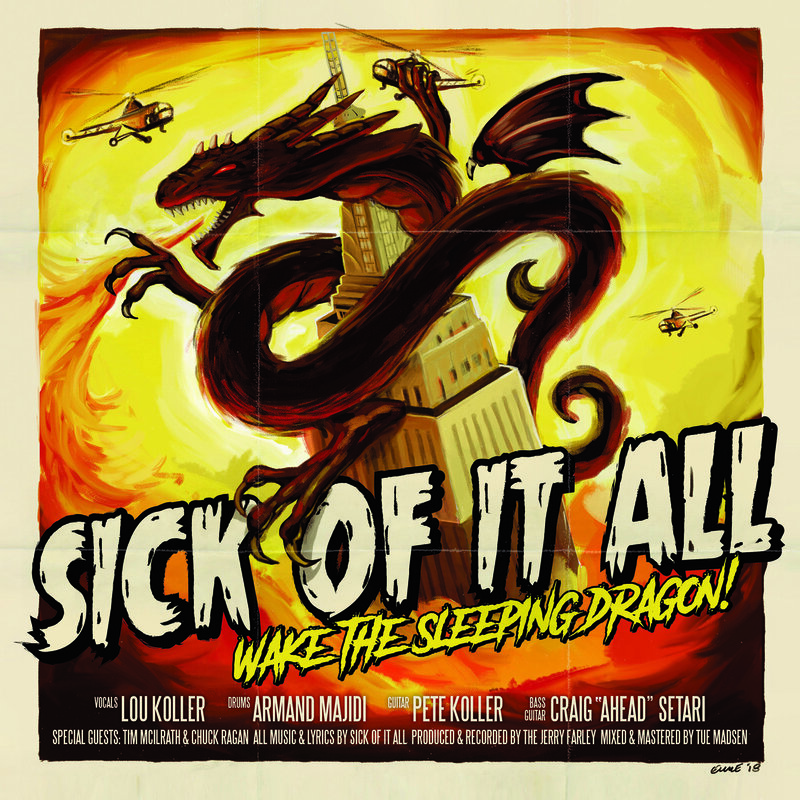 It features a slew of excellent guest musicians, including members of Squirrel Nut Zippers (Jimbo Mathus, Hank West) and the Reverend Horton Heat (Matt Jordan). Pope Paul & The Illegals gig frequently and will happily play your bar, lounge, saloon, brewery, festival, private party, wedding, private jet, historical ruins, barn dance, local prison, swanky mansion, religious ceremony, satanic ritual, political event, anniversary, habadashery, seedy alley, Mexican restaurant, Waffle House and more! Just message us here on our Facebook page and we will get back to you ASAP. 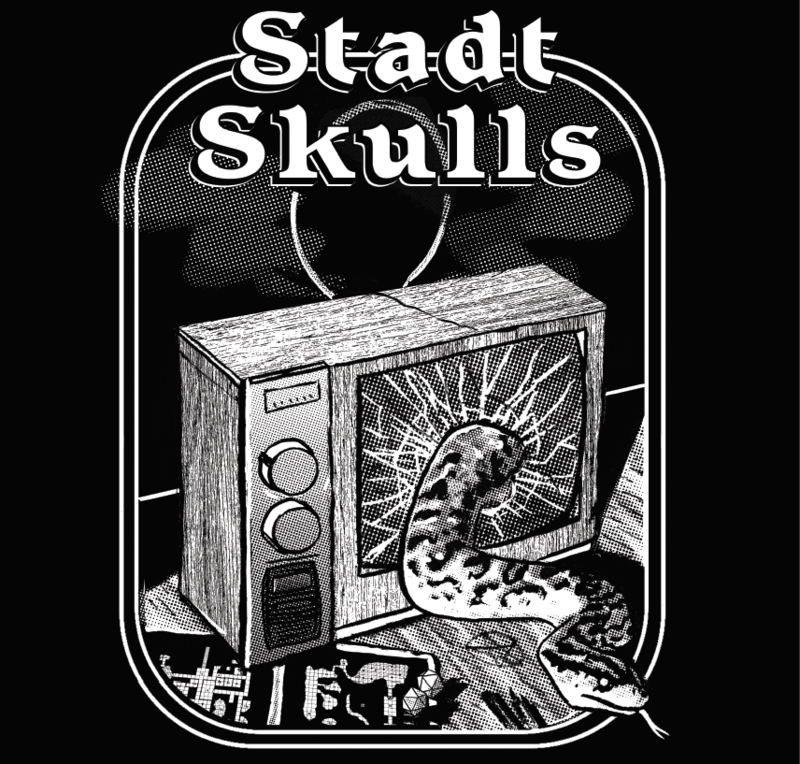 I’m listening to the new EP by Liverpool based “Stadt Skulls”. The band is a punk rock trio heavily in the vein of early Asian Man Records bands like Alkaline Trio, and The Lawrence Arms, along with some more aggressive bursts ala Off With Their Heads Dead To Me. Intriguingly, perhaps, is listening to how they’ve evolved over the last couple years. They’ve moved away from more poppy takes into a darker sound. Good choice if you ask me. I certainly don’t want to pigeonhole the band. They do have their own sound going on. Track 3, the title track, “Against the Cult of the Reptile God”, I feel, is more resplendent of this. It’s a bit more frenetic and anxious, if you will. The overall point of the comparison is that fans of the former are exceedingly likely to be fans of the latter. The tracks are brief and have a slightly lo-fi feel to the mix. The end result is definitely very listenable. I’d suggest you check ‘em out. Noteworthy: These chaps’ noggins fit inside jack-o-lanterns! Three piece, three sibling Liverpool punks. Stadt Skulls have been making angular, noisey, power pop since 2016. Sounds like the band the 90’s forgot. Legendary Chicago punk band Alkaline Trio have released the title track from their forthcoming album Is This Thing Cursed? 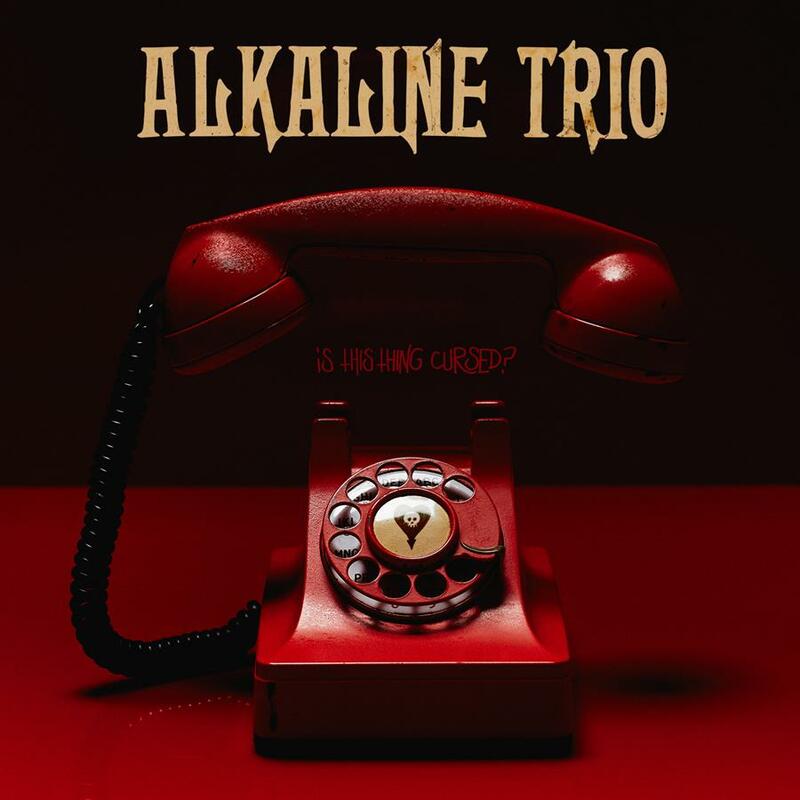 The ninth studio album from Alkaline Trio, Is This Thing Cursed? is their first new music in five years. 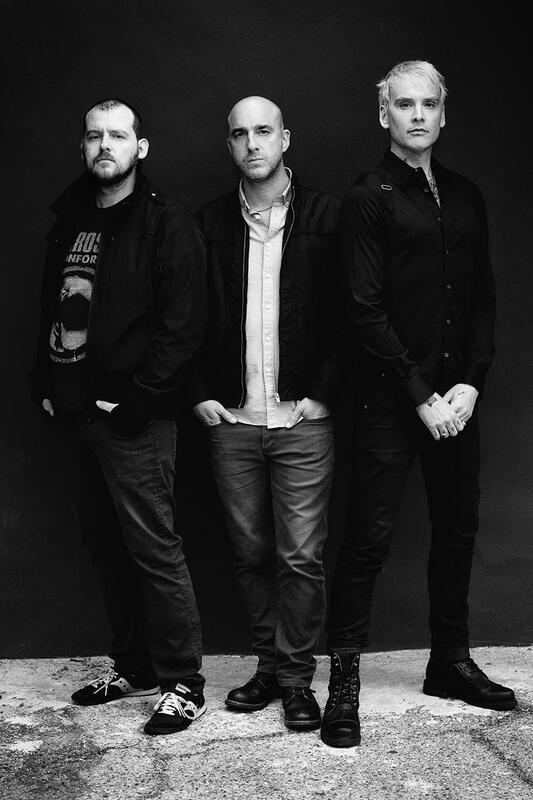 On Friday, Alkaline Trio kicked off their recently announced headlining U.S. tour. The 29-date run wraps up on October 18 in Santa Cruz, California, with Together PANGEA supporting the band for all dates.